The Trudeau government needs to pump the brakes on its timeframe to develop a new legislative framework for Indigenous people. And that means not talking to the chiefs but the people: the rights and title holders. 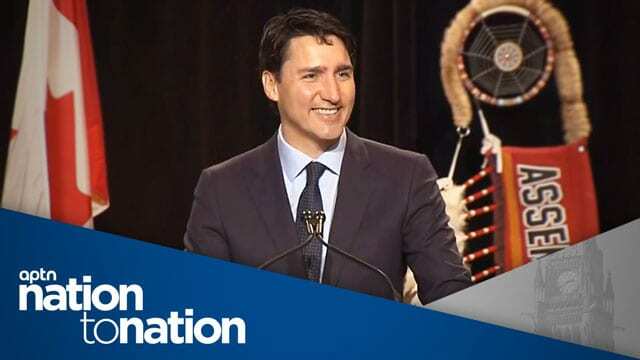 That’s the message Chief Isadore Day had for Prime Minister Justin Trudeau Wednesday at a special gathering of chiefs in Gatineau, Que. 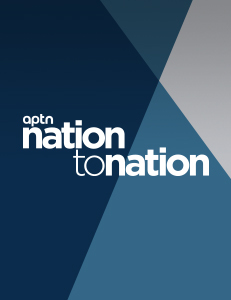 “Our concerns in our region (Ontario) is you need to get down to the ground, you need to deal with the rights holder,” said Day on Nation to Nation. But that hasn’t been happening according to several people Nation to Nation spoke with on the floor of the assembly over the last two days. Instead, Nation to Nation was told as it tries to consult on the development of the Indigenous rights framework, Crown-Indigenous Relations Minister Carolyn Bennett’s office has been requesting groups of chiefs. 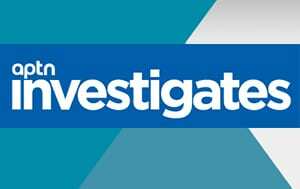 Not only that but asking Indigenous organizations to gather groups of chiefs for them, including recently in Saskatchewan with the Federation of Sovereign Indigenous Nations (FSIN). “This is the message (to) Minister Bennett and your staff: You need better advisors. You need to ensure that when you’re speaking to First Nations, it’s driven from First Nations,” said FSIN Chief Bobby Cameron. Trudeau announced the new framework last February in a speech from inside the House of Commons. He said its goal is to make legislative changes that assist in the reconciliation of First Nations, Inuit and Metis. In the end, it would do away with the Indian Act. 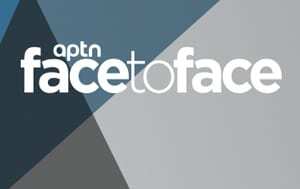 The feds want to have it introduced this fall and implemented before the next federal election in October 2019, which has the support of Assembly of First Nations National Chief Perry Bellegarde. But the so-called “engagement process” is being done through the Assembly of First Nations or other organizations like FSIN and the Chiefs of Ontario, or at least attempted to said Day. “That should never be,” he said. All of the moves the Trudeau government make have not removed the stink of the infamous White Paper. “You know the spirit of the White Paper is still alive and well, from the colonial perspective, and the way the federal government deals with First Nations,” said Day. The White Paper was an attempt by the former government of Pierre Trudeau in 1969, to wipe out the special legal status of First Nation people and the Indian Act. It was seen as an attempt to assimilate Indigenous people and was scrapped after leaders and grassroots fought back. Bennett addressed the assembly Tuesday and attempted to curb these concerns. She said the legislation won’t be imposed. “We are working hard to prove we are not on a White Paper path. This is the opposite of assimilation,” she said in her speech. She also promised chiefs the framework hasn’t already been written. That shadow of his father has now fallen on Justin Trudeau despite promises that Indigenous people will not have to extinguish their rights under Section 35 of the Charter of Rights and Freedoms. The minister in charge of the White Paper in 1969 was former prime Minister Jean Chretien. Chretien then imposed a cap on spending for First Nations in 1996 with then finance minister Paul Martin. The effect of that has led to a $30 billion debt owed to First Nations said Day. And the chiefs were left wondering Wednesday if that cap has been removed at all, again, despite promises that it would be. The Trudeau government has “invested” billions of dollars into First Nations, Inuit and Metis over the last three budgets but it’s not enough said Day. “So if (Trudeau) were to say ‘let’s inject $30 billion, let’s deal with this thing once and for all, that would elevate our standard of living,” he said. While many things were discussed over the two days the family of Colten Boushie had a message for the chiefs. They want a Royal Commission into the systemic discrimination and racism within the Canadian justice system after a Gerald Stanley, a farmer from Biggar, Sask., admitted to shooting and killing Boushie in August 2016. The jury still found Stanley not guilty of second-degree murder but also manslaughter last February. “One again this is not something new to Indigenous peoples and to families. And something needs to be done. 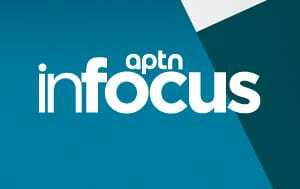 Actions need to be taken,” said Boushie’s cousin Jade Tootoosis on Nation to Nation. “It should not just be meetings and talks anymore. And we are here to call on the chiefs to help us in advancing this call. Maybe the First Nations need to take more action. For too long first nations have been constantly put on the back burner or brushed aside, we have endure so much systemic injustices and racism, and labelled by the conservative party as eco terrorists, the only terrorists are those that committ acts of racism and discrimination against first nations, to me its the majority of the Canadian government and its connections to the crown, and the crown has very bad history it needs to answer to in a court of law for human rights violations and acts of racism and discrimination by the police towards first nations, the list of our rights and human rights violations against first nations is long and painful, so many people killed and murdered by police and canadians is reaching dangerous levels, my question is, how far are the white people going to push these issues they have against first nations? When we push back, we are labelled bad people and terrorist in our homeland, the abuse and violence towards first nations has to end, our rights and freedoms in our homeland, our rights to equality and human rights have to be respected.